An email inbox can be overwhelming. Especially in the generation of text messages and tweets, answering emails can seem very time consuming. As an aspiring PR professional, realize you will be relying on email a lot. 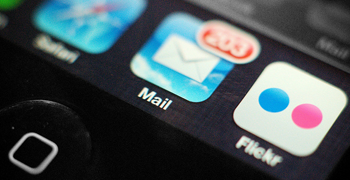 Keep it as unread – If you don’t want to read the whole email now, save it for later. Most of the time I am in such a hurry to clean up my inbox I click through emails without reading the whole thing. Instead of skimming through emails, keep it flagged for a little later when you have the time and patience. Check your junk mail folder – You never know what is in there until you check it! Try to check it once every day to make sure aren’t missing an important message. Organize by subject – Creating folders for my inbox was such a lifesaver. If you have a lot of unread notes, organize by subject or sender to get through the important stuff first. How do you organize your inbox? Let us know! Previous Post The Good,The Bad and The Ugly- PRying into Travel and Tourism Industry!